Tony G triumphantly won a seat in the European Parliament. And now he’ll have a chance to shape his home country of Lithuania…Greg Merson’s name will likely be added to the list of Big One for One Drop participants since he’s almost reached the $1 million buy-in…Black Friday narc Daniel Tzvetkoff might soon be celebrating two wins in a row. His life story is being made into a movie, and his lawyer is making a solid case to help him avoid more jail time. See more on this week’s hottest poker stories in the Weekly Flop. 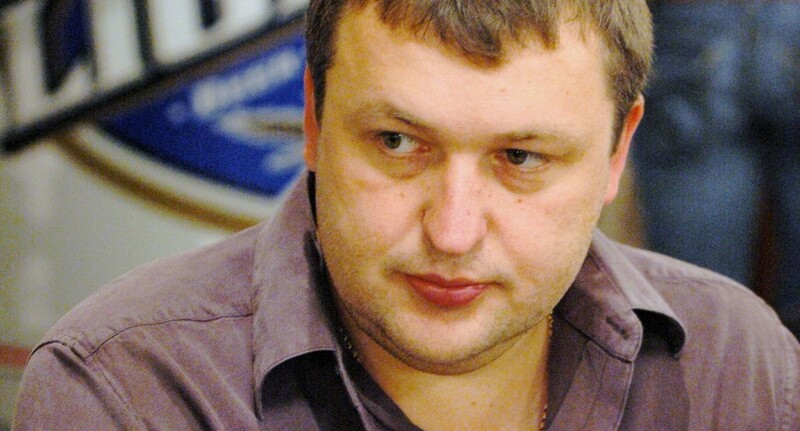 As many poker players have heard, Antanas ‘Tony G’ Guoga won one of the 11 Lithuanian seats in European Parliament. The loud-mouthed poker pro helped his Liberal Party set history by winning two seats in the EP for the first time ever. Back when Tony G announced his candidacy last October, he said, “I have packed up the bike and I am going to EU Parliament in Brussels to change Lithuania.” Now Guoga will get a chance to do just this as he embarks on a five-year tenure as a Member of European Parliament (MEP), starting July 1st, 2014. Unfortunately, this means that we’ll hardly see Tony G in the poker world anymore as his schedule now includes the following: representing Lithuania as an MEP, operating PokerNews and TonyBet, serving as Vice-President of the Lithuanian Basketball Federation, and working with his various charities. Oh yeah, and Guoga will also be managing his massive fortune, which is worth a reported $36 million – making him the richest man in Lithuanian politics. Another high-profile poker pro is close to generating the $1 million buy-in for the 2014 WSOP Big One for One Drop. Greg Merson, who famously won the 2012 Main Event along with $8.5 million, says that he needs to raise about 7% more of the buy-in. Merson’s plan is to front 15% of the buy-in himself and have people stake him for the other 85% for variance purposes. That said, he’s really close to his goal. Anybody who’s backing Merson can be pretty confident about their horse. The 26-year-old not only has a Main Event title, but he’s also won a 2012 WSOP $10k NLHE event. In all, Merson has $10.9 million in live tournaments winnings, and he could add a large amount to this number if he cashes in the One Drop. Tzvetkoff to escape Further Jail Time? Things are really looking sweet for former online poker payment processor Daniel Tzvetkoff. Not long after learning that the book about him, Alligator Blood, will become a movie, the Aussie also has a decent chance of escaping more time behind bars. His lawyer, Robert Goldstein, is currently making a good case for Tzvetkoff to remain free. “For a first-time offender who has never before experienced prison, four-plus months inside the Metropolitan Detention Center in Brooklyn constitutes a harsh and significant punishment,” Goldstein told a judge. Tzvetkoff’s parents and mother-in-law have also begged the judge not to tack on any more jail time. For poker pros affected by the events of Black Friday, life in prison without the possibility of parole might seem like a more appropriate punishment. Even a probation report suggests that Tzvetkoff spend at least another 6-12 months in prison. But then again, Tzvetkoff did cut a big deal with the US DOJ that saw him dish dirt on PokerStars, Full Tilt, Absolute and UB Poker. So his full cooperation will still be taken into account. Home » Rakeback News » Weekly Flop: Tony G to change Lithuania, Merson close to Big One, Tzvetkoff to go free?